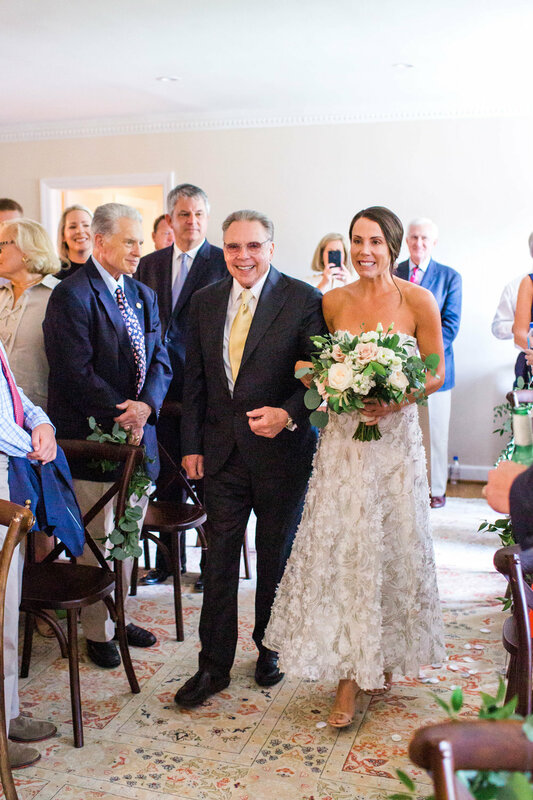 When Christina + RD originally reached out to me to help them with their intimate wedding that they were holding in their family home in St. Louis, I was giddy with excitement. 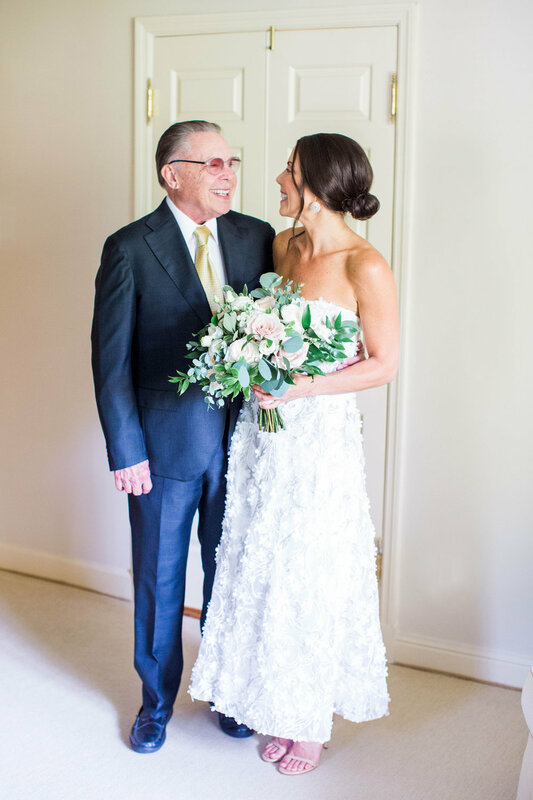 Intimate weddings hold a special place in my heart, and as they laid out the details and hopes for their day, my heart was full. Everything they spoke of confirmed my love for intimate weddings and for this job of mine. They wanted a family-centric day that was romantic, beautiful, and personal, without all the stress or high expectations. They spoke of their family home, being surrounded by those that knew them best and loved them the most, the joy of having their children stand by their side, and of the beauty they wanted to create by bringing a garden indoors. 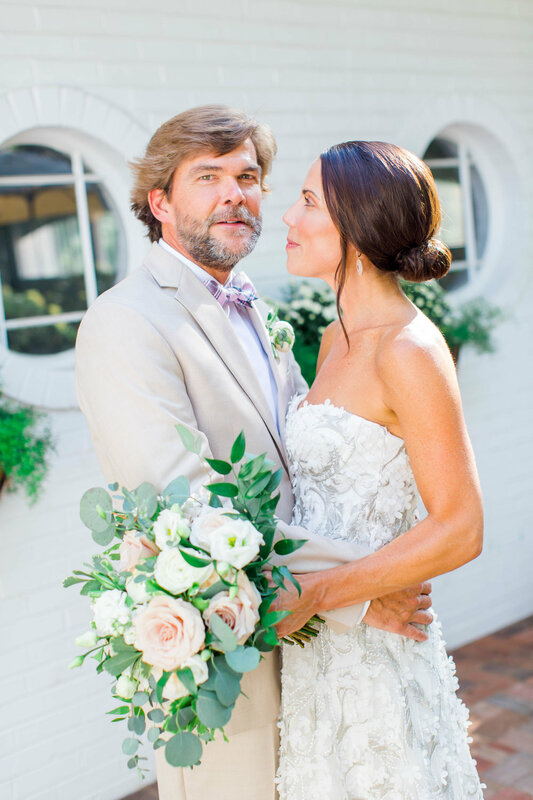 While they had started a lot of the leg work for planning their dreamy intimate wedding, they knew they needed a little help finalizing everything and figuring out some logistical brain teasers, and I was lucky enough to be the planner that they chose. As the day got closer, the three of us worked together closely to make sure that everything they were dreaming of would come true. The morning of her wedding, Christina arrived at her parent’s home with her wedding dress in one hand and her daughter’s hand in the other. She kissed her mother and father hello and then went back into their bedroom to start getting ready. Twisted Willow Design was crafting an elegant, gorgeous ceremony draped in greenery and roses. The Matt McCallie Orchestra was setting up and looking over their music sheets one last time. I was adjusting the ceremony chairs and placing out the last details. Everything was coming together. RD arrived at the house just as the final sprig of greenery was placed, with a smile from ear to ear, ready to get married. 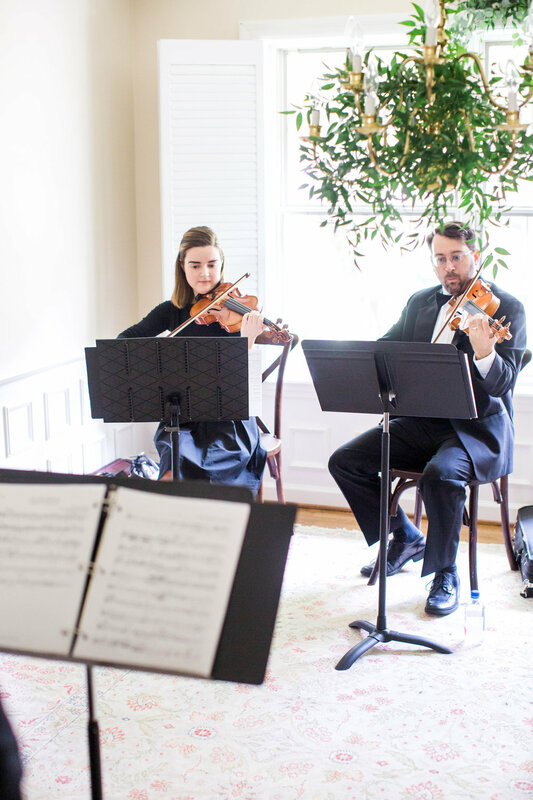 As guests began arriving, they were welcomed into the private residence in St. Louis by the quartet playing them into a pre-ceremony cocktail hour. 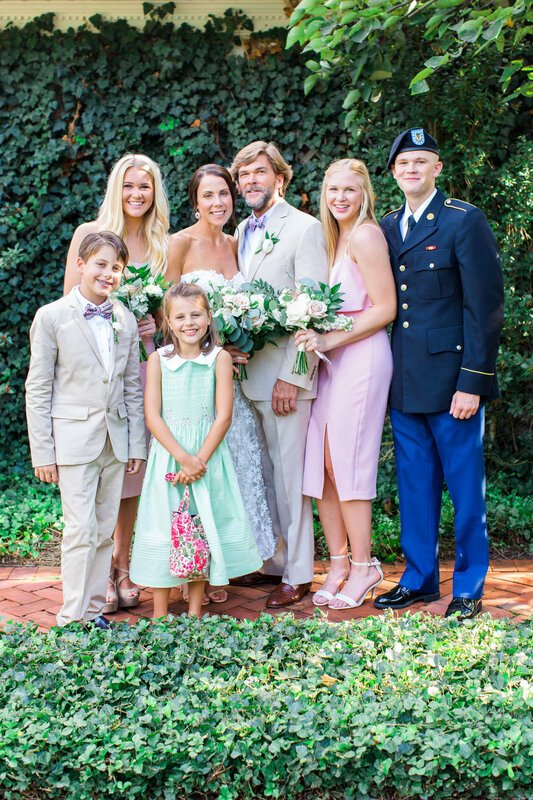 RD mingled with the guests with his daughters and son, counting down the minutes until he would get to call Christina his wife. With her daughter’s help, Christina slipped into her dress. As she refreshed her lipstick and drank her last sip of champagne, all of their loved ones excitedly took their seats, happy that the moment was finally here. After the ceremony ended, they celebrated with their guests with a toast and some showing off of her gorgeous ring. Then, they ran off to spend some time together in the secret garden that is her parent’s backyard. 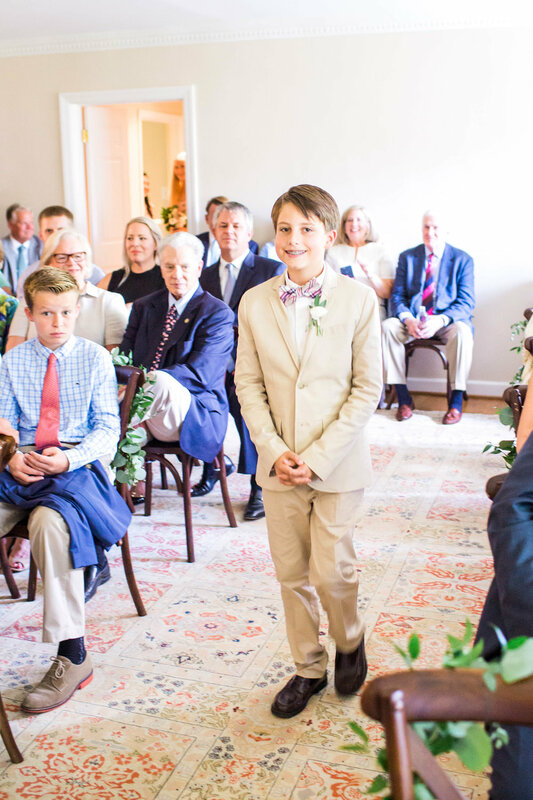 They were in their own world, unable to keep their eyes off of each other, completely unaware of Laura Ann Miller as she documented these precious moments. Once they were ready to party, they met up with their family and friends at one of their favorite restaurants, Almond’s, where they had celebrated many birthdays, anniversaries, and family celebrations. A place that meant so much to them. They partied the night away, their first night of forever together as a beautiful blended family. Congratulations Christina + RD, and thank you again for letting me be a part of your celebration! You two are absolutely marvelous and beautiful people. The wonderful, hardworking, talented vendor team:. I would absolutely love to help make your wedding dreams come true! Contact me here!